Access all of our Channels! 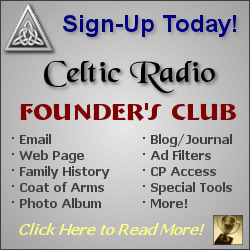 To access premium features of the Celtic Radio Network App, please consider joining the Celtic Radio Founder's club. You will unlock all of the premium ad-free channels which includes Celtic Moon, Ye Ol' Celtic Pub, Celt-Rock-Radio, Salty Dog Radio, Best of Celtic Radio and our Celtic Christmas channel as well as Highlander Radio. Android users are limited at this time to only Highlander Radio, Celtic Moon and A Celtic Christmas. Purchasing premium will also provide access to our playlist and requests tools through the App. A desktop version of our premium account are also included for those with a labtop or computer. Joining the yearly $19.95 membership, you will receive a special welcome gift. 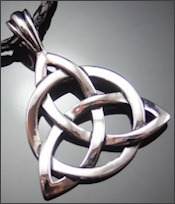 Current welcome gifts include a Celtic Trinity Pewter Necklace, Celtic Dragon Necklace, Irish Knot Cross Necklace, True Irish Ghost Stories, Authentic Guinness 20 ounce glass, Favorite Celtic Fairy Tales, Favorite Irish Fairy Tales, Scottish Fairy Tales, Celtic Beaded Bookmark, 12 Celtic Bookmarks or a Coat of Arms coffee mug or download graphic.